Getting a new house constructed for you is indeed a mind-racking venture as it requires you to choose a reliable, renowned and experienced architect in Pakistan. You have to be smarter enough to manage finances and time so that the construction project could be accomplished in a perfect way. Selection of the overall layout design and the materials is not the only headache; you also have to decide about various other things such as flooring and ceiling. Now days, ceiling is given as much attention as the other parts of a house; because other than serving as an upper limit, it also works to enhance the whole ambience of your house interior. 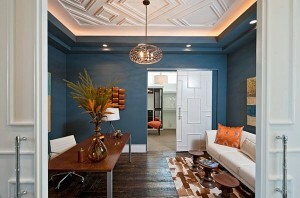 Here it would be no wrong to say that ceiling plays a major role in creating a feel of a room or area. Boring flat ceilings are no more the trend, now home owners get plenty of choices as they can select best from great variety of featured ceilings, the detail of which is given as follows. 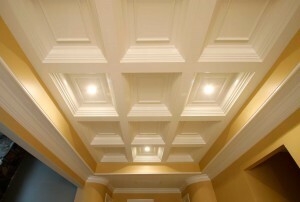 Coffered ceilings give grid-like appearance with repetitive sunken rectangles or squares spread all around. The rectangles and squares can be further decorated if given a wood like appearance or added colors with amazing paints or wallpapers. The center area is used to hang fan or a chandelier whereas rest of the boxes can be used for smaller lighting fixtures. The type of ceiling is perfect for the dining or living area. The type of ceiling involves different slopes – which could be single, double or more. The most common vaulted ceiling designs feature equal slopes which meet together in the middle, making the central part of the ceiling higher than the surroundings. The type of ceiling is selected for the areas where increasing the height and appearance of a home is necessary. As the name indicates, the ceiling appears like the inner side of a tray. Tray style ceiling designs vary from simpler to more complicated – for instance, a plan design is usually like single inverted tray, whereas a more detailed work features a cut-out design, where the inner most portion of the ceiling is recessed. It’s a multifunctional ceiling design as it can make a smaller room look high and high room look smaller. As the name indicates that the type of ceiling is not covered; instead it has beams and pipes exposed to create a more of artistic and antique appeal. The type of ceiling creates more open feel; however, in the areas where the climatic conditions are acute, using this type ceiling is not feasible as it does not have extra covering to keep heat and cold out. 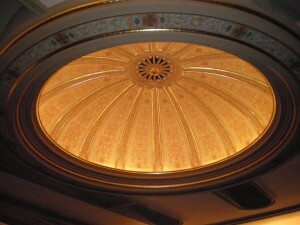 The type of ceiling is mostly used in the official buildings or in grand homes. 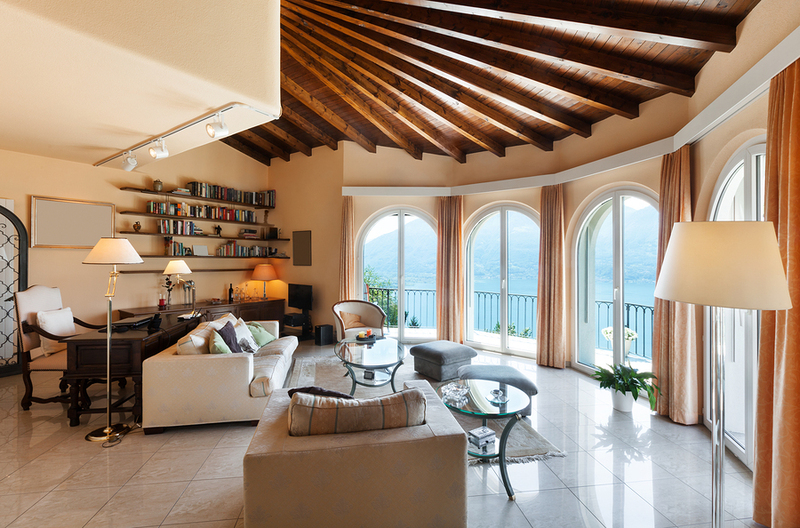 Mimicking the circular domes, the type of ceiling creates more of a spacious feel inside an area. Usually the dome is covered with a skylight or a stained glass to allow maximum natural light entrance. While choosing a specific ceiling design you must consider the design layout of your house, the area you are living in and off course the trends.